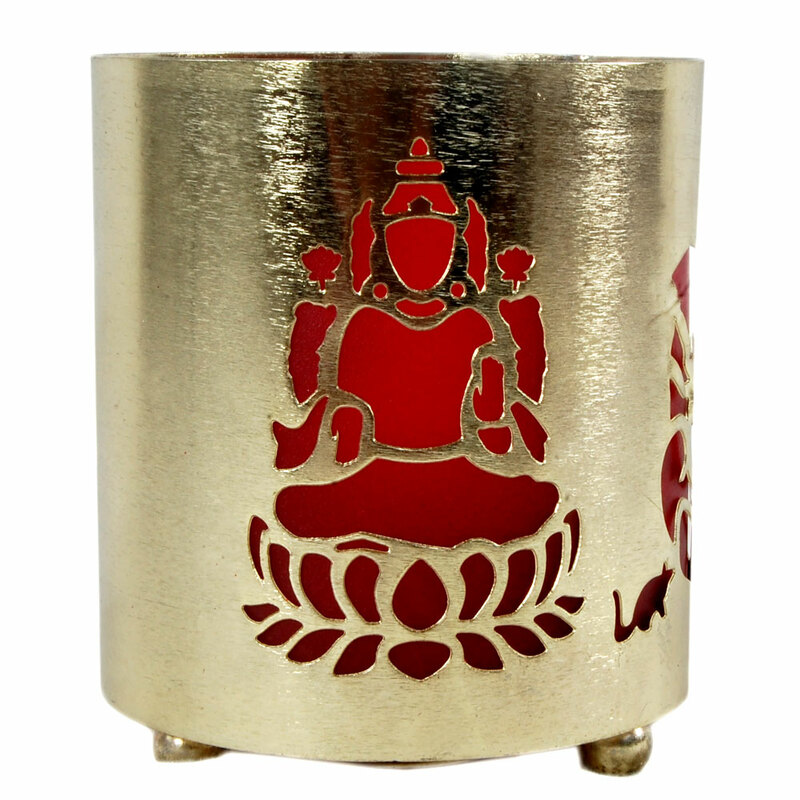 This Artistic Candle Holder has the ability to give an illusion of truly incredible artwork present on its wall. This happens when a lighted candle Read More..is present inside it, which justifies its claim to be artistic instead of being just another candleholder. This piece sports an otherwise simple design pattern but it transforms the moment it possesses a lighted candle in its belly. Therefore, this piece can be ideal both for people fond of quirky home décor items, and for those looking to gift something aesthetically pleasing to others on a special occasion such as Diwali. Show Less..